FASHION SHOWS AT DESIGN INDABA 2013 IN CAPE TOWN. Established in 1995 with its flagship conference, the institution has evolved into a multidisciplinary experience that now comprises the globally acclaimed annual Design Indaba Conference, Simulcast, Expo and FilmFest, as well as a host of community initiatives, training workshops, music festivals, design projects, performances and publications. 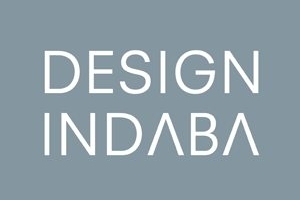 Designindaba.com is the online culmination of the Design Indaba experience, serving as a one-stop design portal for highly curated, bespoke multimedia content on global creative industries. Design Indaba is committed to a vision that is built on the belief that creativity will fuel an economic revolution in South Africa. The Cape Town Fashion Council presents all-day fashion shows at Design Indaba Expo, featuring the work of exciting local designers. Organizers declare: Expect a bigger focus on fashion at Design Indaba Expo 2013 when 20 designers, all under the Cape Town Fashion Council (CTFC) umbrella, step into the spotlight with daily fashion shows at the DStv Events Arena on the Expo floor. This is twice the number of designers with ramp shows last year. “Our collective of 10 designers achieved R320 000 in sales last year, double the amount made the year before that,” said Bryan Ramkilawan, CEO, Cape Town Fashion Council. The 20 designers also get the opportunity to sell their products on the CTFC stand, which will take up a whopping 182 sqm alongside the Events Arena this year. “Our designer umbrella this year features some of the most recognised brands in the SA fashion industry, namely Rosenworth, Craig Port and Thula Sindi. Entrance to the Events Arena is free with the purchase of tickets to the Design Indaba Expo. Tickets available at the door or at Computicket. Catch the very best of South African fashion design at a variety of fashion shows during Design Indaba Expo, from 1 to 3 March 2013. Every day from 1 to 3 March at the Design Indaba Expo, there will be all-day fashion shows at the DStv Event Arena. The fashion shows are presented by the Cape Town Fashion Council. Fashion shows are free to attend for all visitors to Design Indaba Expo. Tickets to the Expo cost R70. Click here for Expo details and ticket sales. Please note that the programme and speaker listings are subject to change without prior notice.